Kiwi’s typically have a “can do” attitude and tend to think they do not need advice so don’t ask for help. You ask a friend for a recipe and they will give it to you. You ask what a restaurant was like and they you give you a full review. We see these on Facebook a lot these days, but the same can be given in person. You might ask at a BBQ for a builder and you will be provided some names – a good builder from someones experience or someones cousins friend who is a builder. Maybe fishing is different. They might tell you what general area they caught fish in, but getting the GPS coordinates is often a closely held secret. People know that at times they will need to seek and pay for professional advice. Accountants provide advice on tax which people need, and some of the better accountants provide advice on business improvement. When you engage the services of an accountant you will typically be charged for the advice regardless if it is good advice or not. Solicitors and lawyers also provide advice on a range of legal matters and they will charge too. Dentists charge for the work that they do and while you may not enjoy being the subject that they are working on we all tend to agree that we need the work that they do. What about the free advice that we see advertised? Generally advice is not free and its always interesting to see who is offering the advice. We see plenty of advisers giving “free advice” on property investment; however when you look into these instances there is often a hidden remuneration to the adviser giving the advice. Many of these advisers receive a financial reward and sometimes quite a significant one for “selling” the properties. 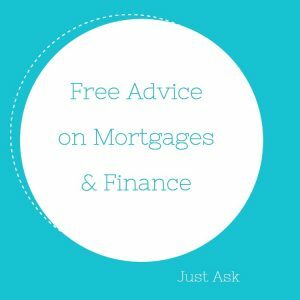 What Is The Difference About Mortgage Advisers? Most mortgage brokers do not charge fees for bank sourced home loans as they get paid by the banks for introducing the business. The same applies to reviewing loans with a banks or restructuring a loan with a bank. Also, importantly most mortgage brokers deal with a range of banks and non bank lenders so the advice is not pushing a specific produce (or at least shouldn’t be) meaning the advice should be impartial and not specifically about one bank or lender or one of their specific products. Sure, as mortgage brokers we would love to have the opportunity to broker a deal for you in which case the bank that gets your business would pay us. But there is another reason that we do not charge for giving advice. We believe that giving good service and advice will reward us over time. We may not earn anything at the ti me of giving the advice; however over the years we have received a lot of referrals which were attributed to some advice that we had given. As well as being brokers that arrange standard bank mortgages, over the years we have established ourselves as the “go to” brokers for both new build finance and non bank finance. We have talked about giving free advice for no immediate reward and most weeks we could show examples of doing this. Example One – Our mortgage broker Tracey Topp had an example of helping a bank employee. The employee had contacted Tracey to see if her and her husband could get finance to buy their first home. She was talking about how hard it is to get a mortgage these days with a low deposit and with her husband having bad credit too. Tracey went through all the normal information gathering that we do and they gave consent to do a credit check which we did to establish what the “bad credit” was and to see how best to approach this. It was discovered that the husbands credit check was not too bad and there was a very understanding reason for the one blemish on his credit. As the lady worked for a bank Tracey knew that the staff deal was going to be better than what we could offer and so helped the client with an application, but had to then step back and let the bank approve the home loan via the staff benefits programme. The result was a very happy couple who are now able to buy their first home when it was something that they felt was beyond reach. Example Two – Our mortgage broker Stuart Wills was contacted by an existing client asking if he could help her sister. Her sister had an approval from a bank via the small business unit and while it was an approval for the amount required, it was at a non-competitive interest rate and they were charging a small application fee too. Stuart Wills quite simply contacted the bank asking them to review what was offered and requested the lower interest rates that he had got for another client the same week. With the knowledge that a mortgage broker was now involved the bank did come back with a competitive loan offer. There was no point doing a new application but instead Stuart helped to get the bank to come up with a competitive offering.The result was another very happy lady who knew she had a competitive deal. Neither of these examples resulted in any fees being charged to the people, and nor did the banks pay the advisers. It is something that good mortgage brokers do for free, so contact us if you need advice.